White sand beaches, breathtaking turquoise waters, stately coconut trees, gentle ocean breezes, picturesque sunsets, and a drink in your hand: if this is your ideal notion of paradise, then you won’t be disappointed when you visit the Overwater Bungalows and Naay Spa at the award-winning, adults-only El Dorado Maroma — a unique, five-star, beachfront escape from Karisma Hotels & Resorts in beautiful Riviera Maya, Mexico. This unbelievable, inclusive resort offers guests the once-in-a-lifetime thrill of living inside a luxurious private bungalow with the sparkling blue ocean glistening beneath your feet. 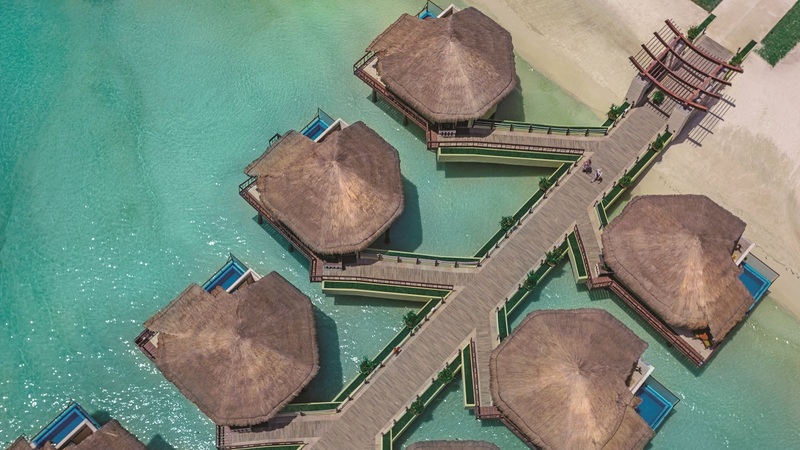 When most of us hear about overwater bungalows, they’re located at resorts in tucked-away destinations like Bora Bora. Typically, getting to these locales from the US requires hours upon hours of travel time. 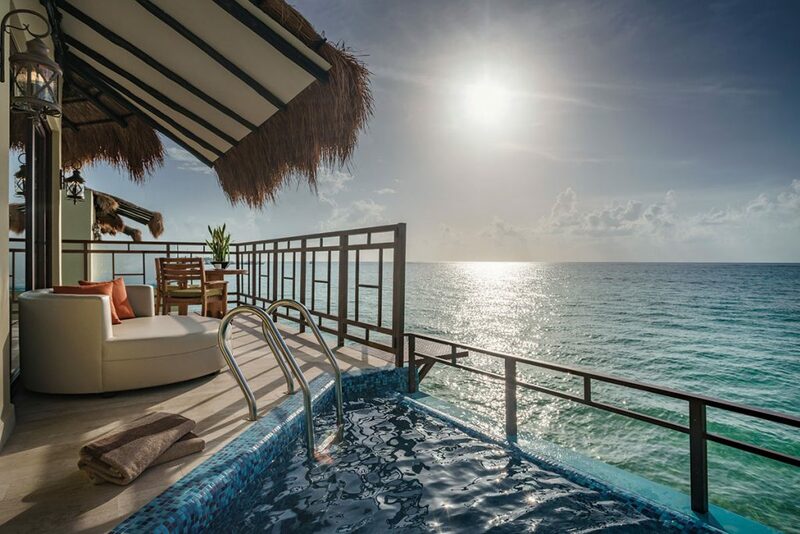 So when the opportunity presented itself to experience this very rare luxury concept while cutting the travel time in half by flying just a few hours direct to Cancun, I simply couldn’t resist. 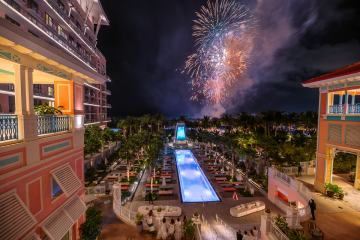 And after experiencing this remarkable getaway, I can tell you with sincerity that if the opportunity presented itself again, I wouldn’t miss the chance to recharge at this magical beachfront paradise. Upon arrival at El Dorado Maroma, I instantly found the staff to be warm and welcoming, while the check-in was seamless. Immediately I felt as though all levels of my senses were engaged. The grounds were meticulously manicured with coconut-bordered walkways, lush tropical plants, indigenous flowers, giant palm trees, and come-lie-on-me hammocks so enticing, I couldn’t resist lying down for a moment to savor the perfect vantage of white sand beachfront and picture-perfect water elegantly shimmering in the distance beyond the gently-swaying palm trees. I soon noticed a clear demonstration that this was a far cry from those prototypical overpopulated family vacation resorts, as there were no shortage of adult beverage stations around, and no sounds of children crying in the background — just the sweet symphony of paradise. As time progressed, my senses became engulfed in its alluring concerto: The soothing sensation of water trickling all around. The subtle, rhythmic beat of tropical music from afar. The calming sea breeze. The crisp, rejuvenating ocean air. All these things coalesced elegantly to entrance me. Just then, I looked beyond the vast pools with swim-up bars to see the word “hola” crafted from coconuts on the ground. 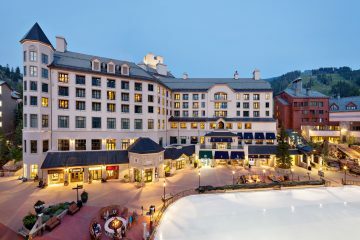 As I continued down the charming resort walkway, smiling faces of the amenable staff were eager to say their native hello and welcome guests to this unique paradise. It was then that I realized I was right where I needed to be. The bungalows themselves are surreal dwellings from another time. 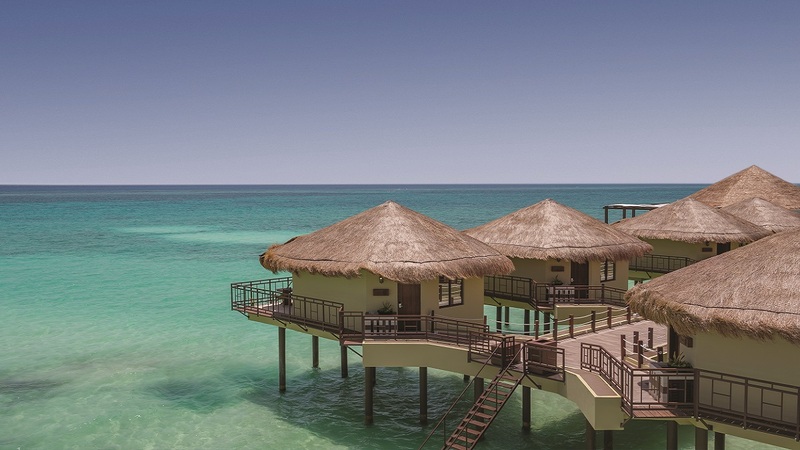 They sit nestled in rows atop a vast dock, the crystalline turquoise waters of Maroma Beach glittering beneath them. In the distance there is nothing but paradise and breathtaking, 360-degree views and majestic sunsets as far as the eye can see. The dock itself was like a regal red carpet inviting me to the bungalows. Designed with the utmost privacy and relaxation in mind, each bungalow is equipped with a fully-functional layout: There’s a foyer-like entry and dining area, walkway of glass floors to admire the radiant movement of the ocean, and a luxurious beach bed overlooking a private oversized balcony equipped with a deck so you can soak up sun in admiration of those spectacular, shimmering ocean views. 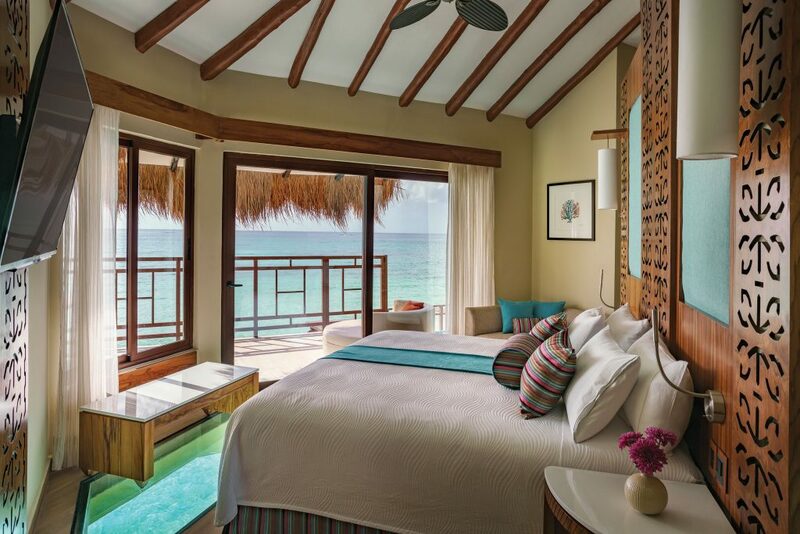 With direct access to the ocean from your balcony, at any time of day you can enjoy a dip in the Caribbean waters and return to your bungalow in complete privacy. 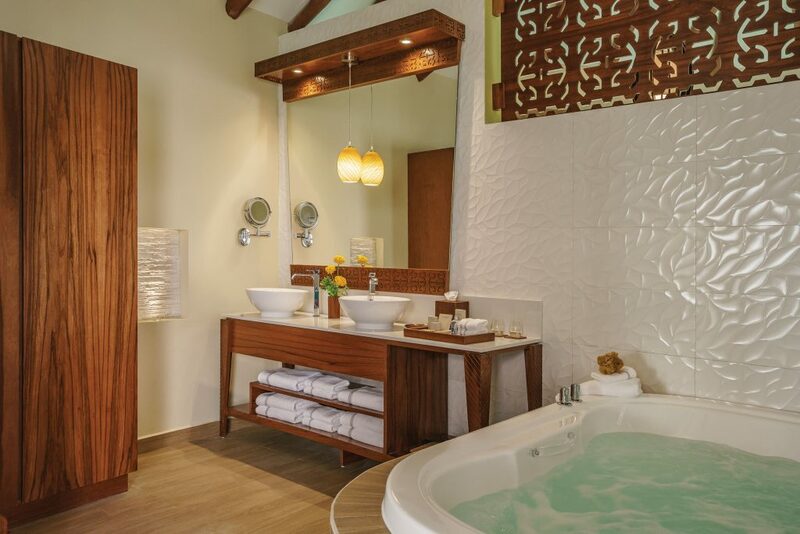 An indoor jacuzzi, indoor/outdoor showers, your own personal outdoor spa, soft, ambient lighting, flatscreen TVs, and Bose sound systems are all on hand to further elevate your supreme level of relaxation. With inviting seating areas and ample closet, drawer, and vanity space, the bungalows contain everything you need to remain blissfully comfortable during your stay. And with your own personal butler and gourmet dining at your fingertips twenty-four hours a day, you might feel tempted to remain in your own private hideaway for the duration of your time in paradise. 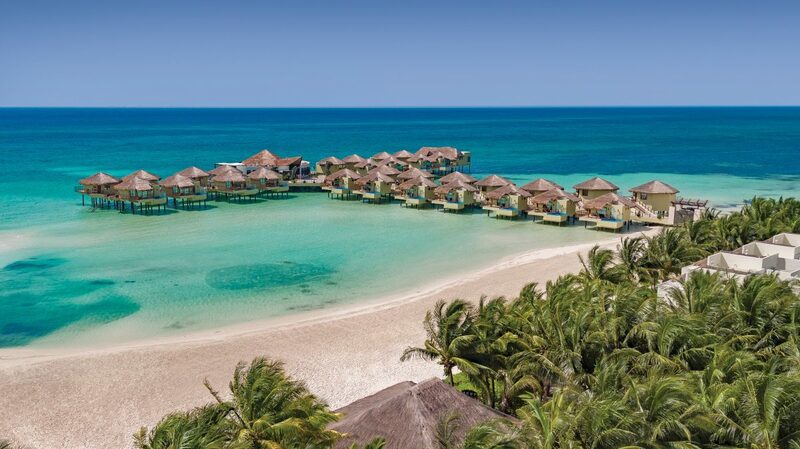 But if you do manage to make it out of your bungalow, the resort contains three majestic pools, four bars, and six premier restaurants. 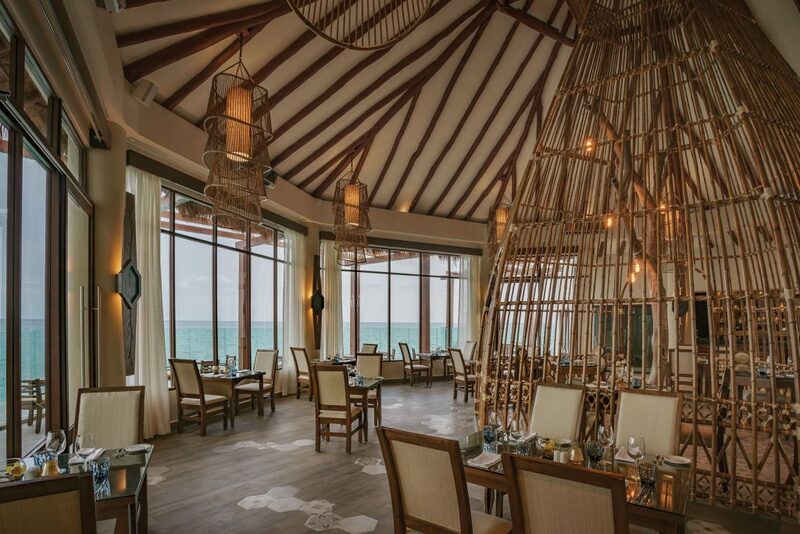 El Dorado Maroma carefully selected Chef Julio Gomez, a visionary culinary mind to spearhead their team in the kitchen. His efforts are felt in sublime and savory dishes such as gourmet tuna toro, consommé, risotto, tagliatelle, sea bass, short rib, and vanilla cheesecake. Every meal exceeded my expectations; each was truly delectable, and I was simply blown away by the elegant presentations. As for on-site activities, the resort offers everything from dance lessons to cooking classes, yoga to pilates, bocce to beach volleyball. And if you’re in the mood for something more exhilarating, just ask your personal butler to book an activity like ATVing, speed boating, or horseback riding through the resort’s tremendous Maroma Adventures program. 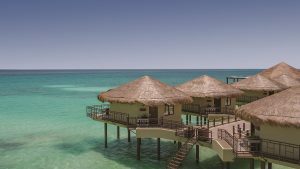 I was also very impressed with the live entertainment every night and the exceptional spa located just steps from my bungalow with treatment rooms overlooking the pristine ocean (indoor or more private settings are also available). 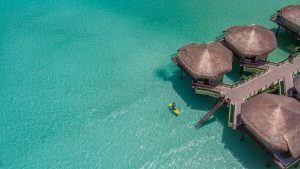 In summation, the Palafitos Overwater Bungalows at El Dorado Maroma is unlike any other resort experience I’ve had. 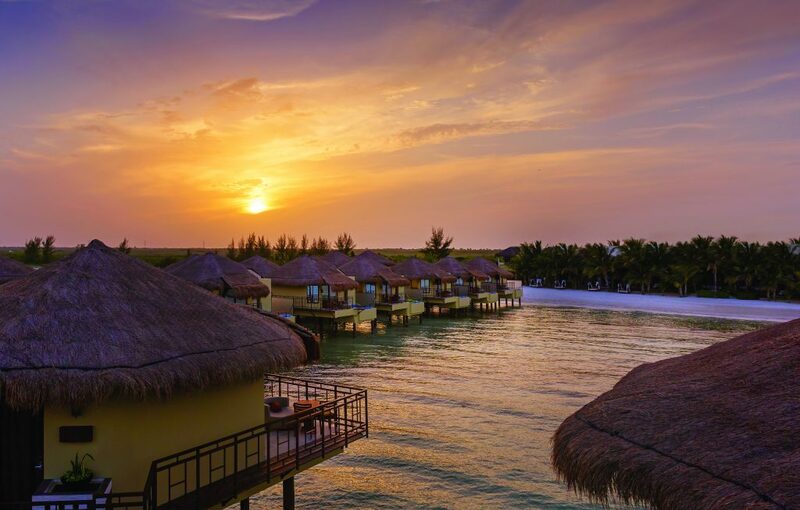 While its à la carte dining, adults-only edict, premium alcoholic and non-alcoholic beverages, full-service concierge, and 24-hour room service are all fantastic, what truly sets the resort apart is it’s setting — how often do you get to sleep above the ocean in such an idyllic locale? 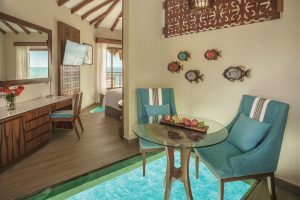 And with the relatively close location and rates starting at just $950 per person, per night, living in paradise has never been more accessible.